We have been getting a lot of local interest about this new weed. Please check out the links below for more information. NCDA&CS is tracking this week and so far Watagua County is the ONLY county with a confirmed case. 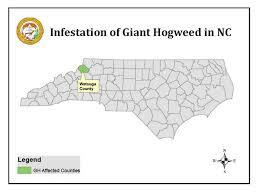 If you believe that you have this weed on your property, please take a photo of the weed and contact us at 704-873-0507. We will be happy to assist you further.